Keeping your vision sharp requires regular monitoring and care by experienced optometrists like Dr. Neena James and Dr. William F. Pittenger Jr. of 20/20 Eye Care, who have been serving patients and their families in Huntsville, Alabama, since 1986. At 20/20 Eye Care, we are committed to the detection, care, and treatment of a variety of eye conditions. Our preventive screenings and advanced diagnostic tools enable the early detection and treatment of common vision disorders like glaucoma, macular degeneration, cataracts, diabetic retinopathy, and dry eye disease. Our staff is committed to providing you with the best experience possible. We take the time to get to know you as a person and a family. 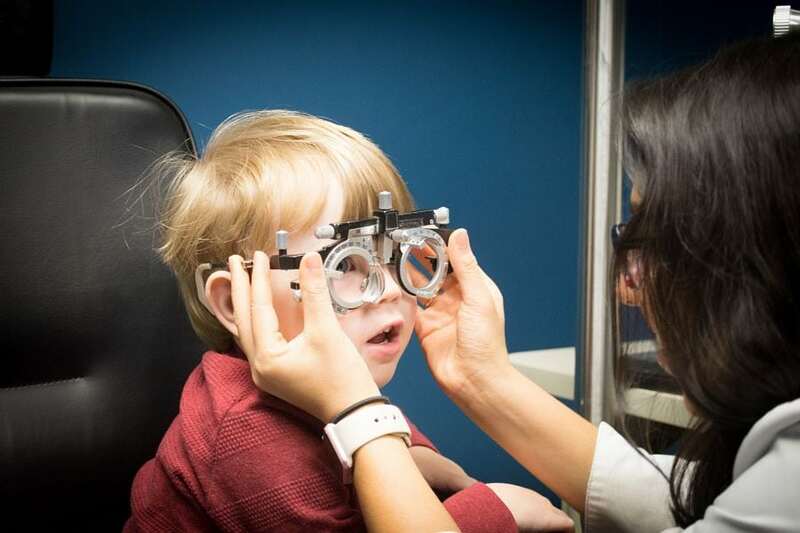 We welcome pediatric patients as young as 6 months old, and recommend a comprehensive eye assessment for infants by the age of 9 months. InfantSEE®, a public health program, ensures all infants under the age of 1 year receive this vision assessment free of charge. "20/20 Eye Care is fantastic! The staff is very friendly, courteous, and professional. They're very knowledgeable. Dr. James is awesome and the entire staff makes you feel like family. Highly recommended!!" ~ Travis J. Discover the difference that quality eye care delivered in a family-friendly environment can make. Call 20/20 Eye Care in Huntsville, Alabama, at (256) 536-5589 to find out for yourself how dedicated we are to your vision and your health. You can also use our convenient online appointment request form. Walk-ins are welcome.